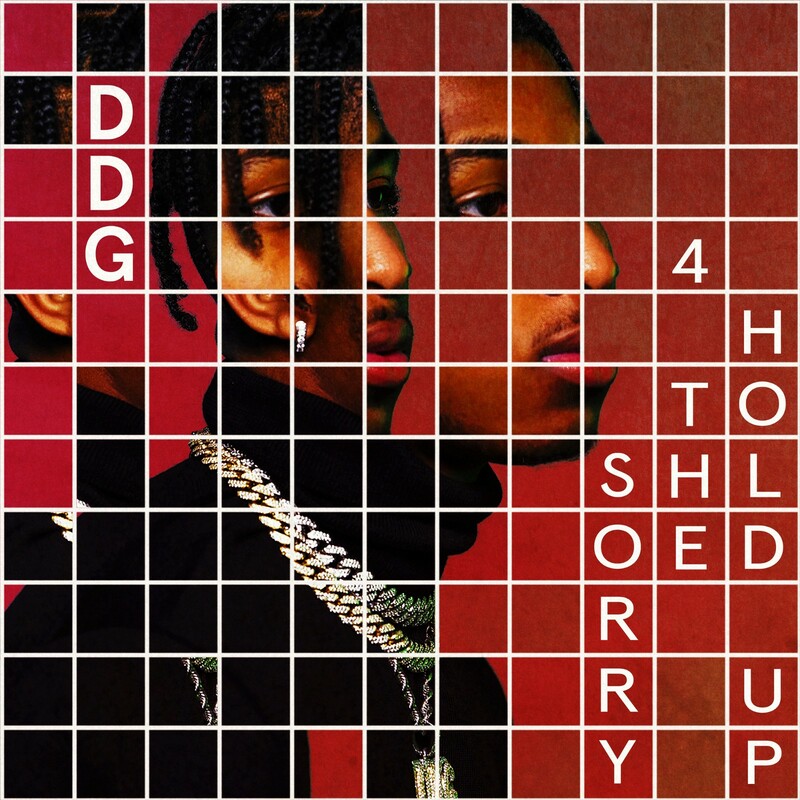 The YouTuber-turned-rapper and recent Epic Records signee, DDG, is looking to solidify his place in the hip hop world. His latest project is a short but sweet reminder of the constant work he puts in to reach musical stardom. Sorry 4 the Hold Up, a clever twist on Lil Wayne’s classic mixtape series, Sorry 4 the Wait, is a four-track project whose major theme revolves around the complicated, public breakup he went through in 2018 and his actions following the split. On the album’s opening track, “Lil Baby,” the 21-year-old smoothly croons over an electric guitar-based instrumental produced by superstar beatmaker Mick Schultz. DDG provides a detailed account of his intimate encounters, possibly reflecting on past events with his ex. Sorry 4 the Hold Up’s third track, “Hold Up,” holds the only feature of the EP. Queen Naija, fellow YouTuber-turned-artist, accompanies DDG on an emotional message to their past loves. Queen Naija went through a similar high-profile breakup in 2018, so it’s fitting that she shares the track with him. While DDG’s fan base awaits a longer body of work, they should only expect a full project to be released once he gets through his Breaking the Internet tour, set to end on April 18. Nevertheless, Sorry 4 the Hold Up, despite being only four songs long, is just the right amount of music needed to hold them off—for now.